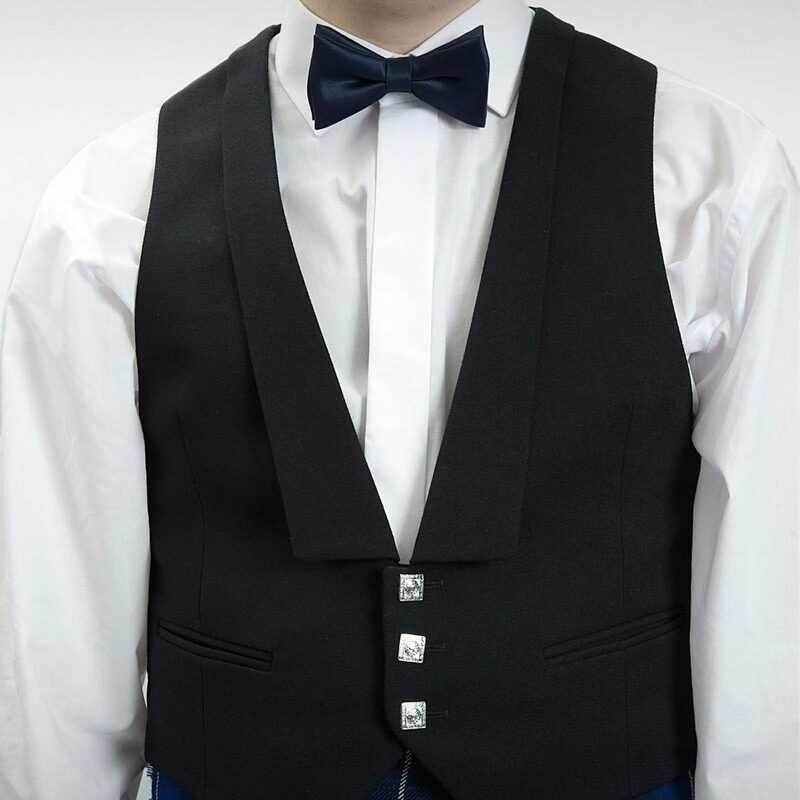 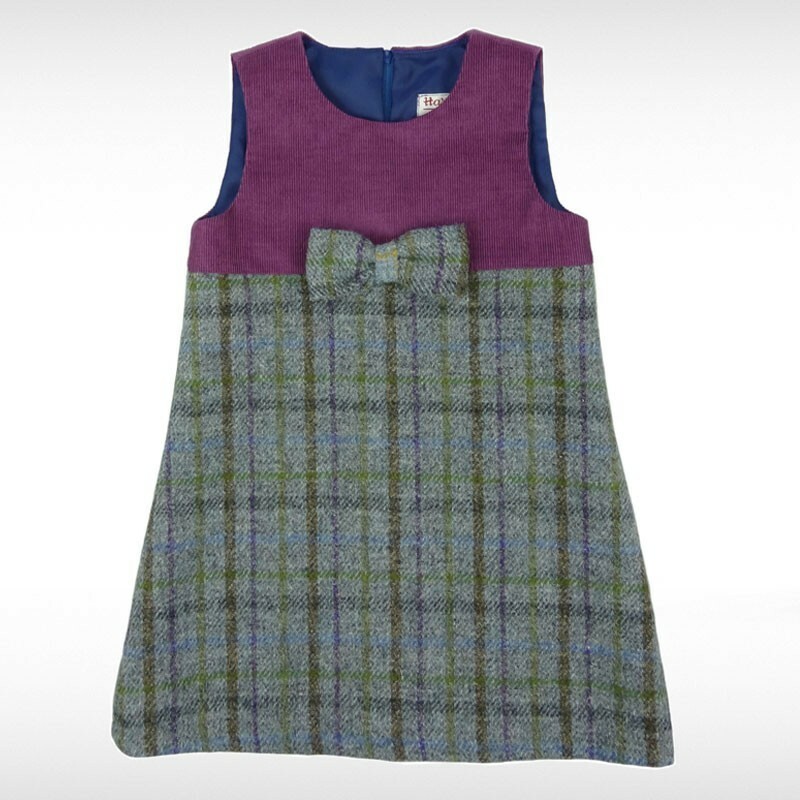 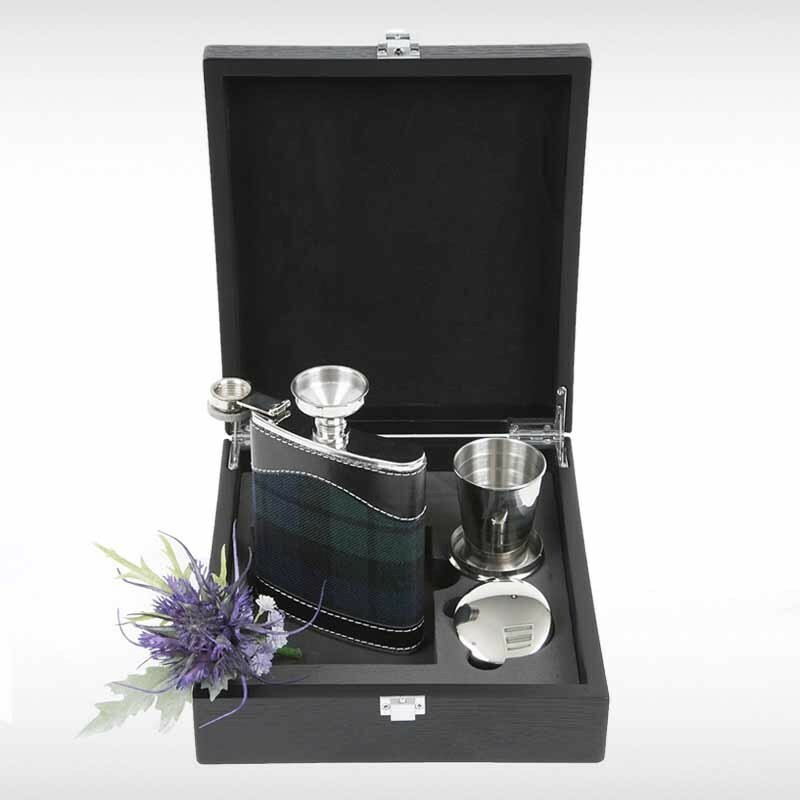 100% pure new wool formal Prince Charlie jacket and waistcoat set. 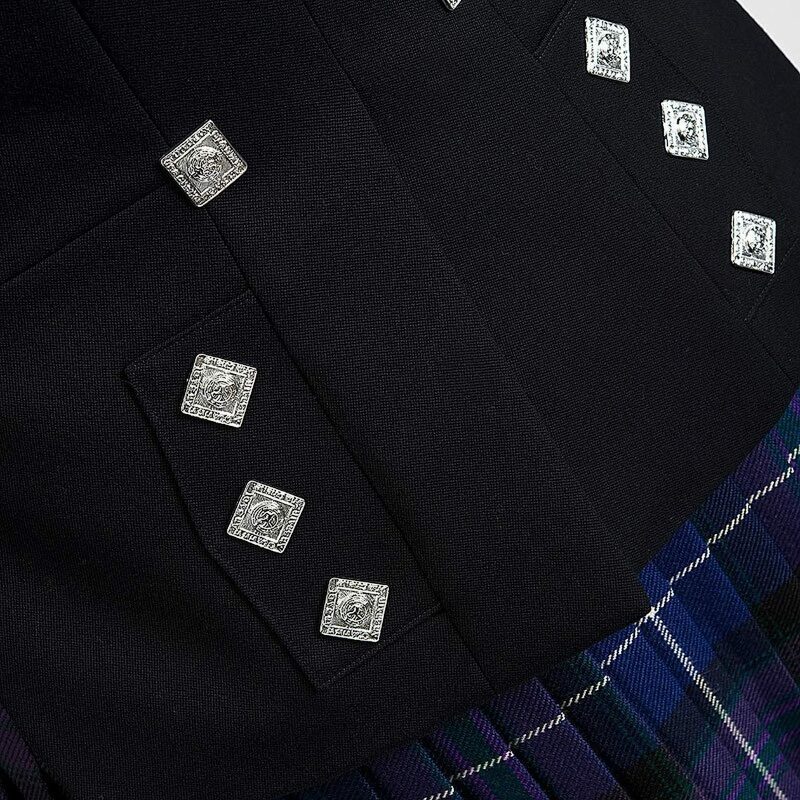 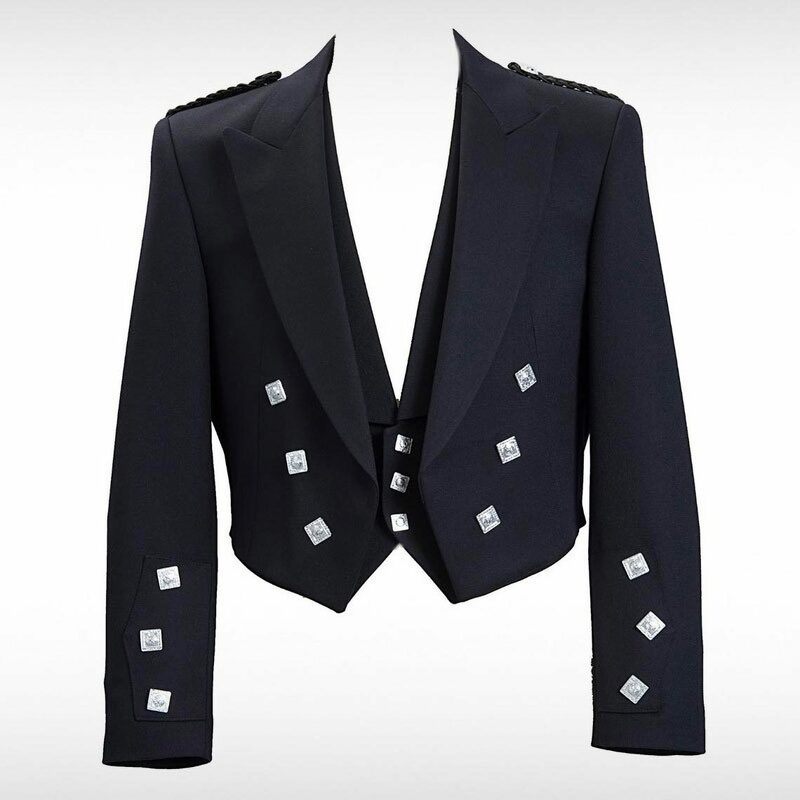 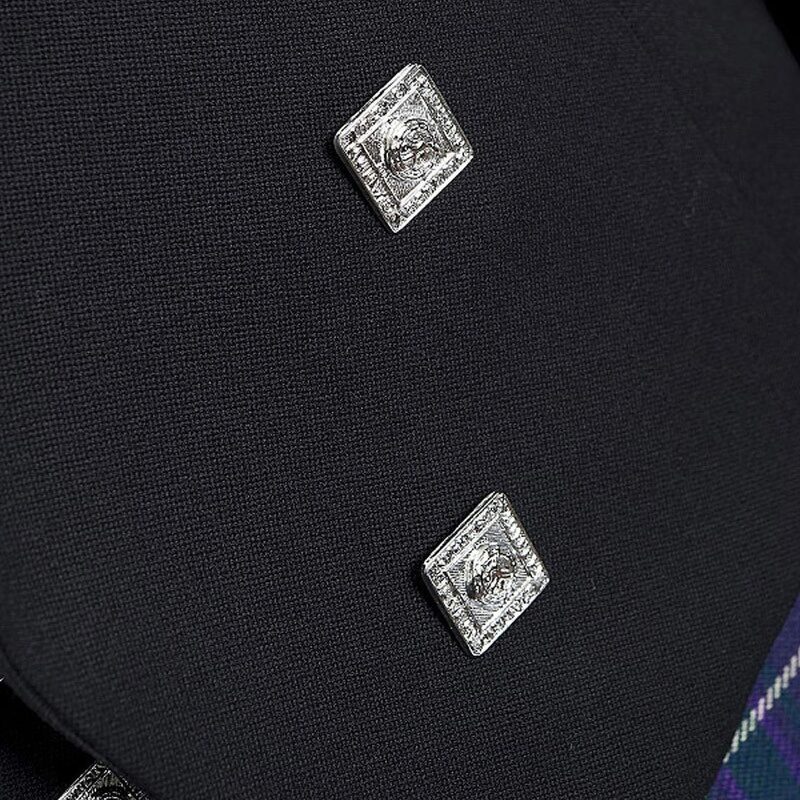 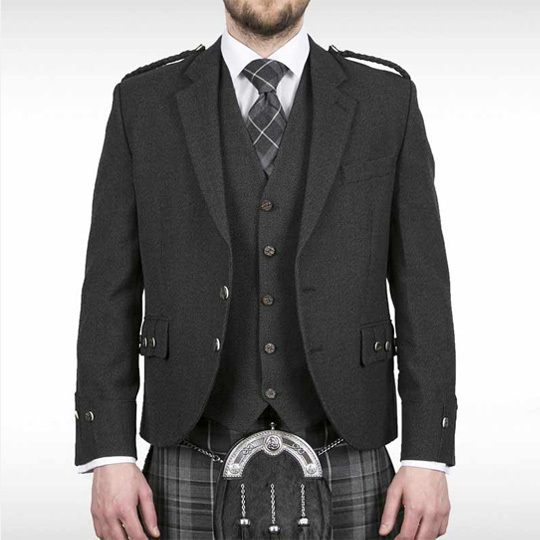 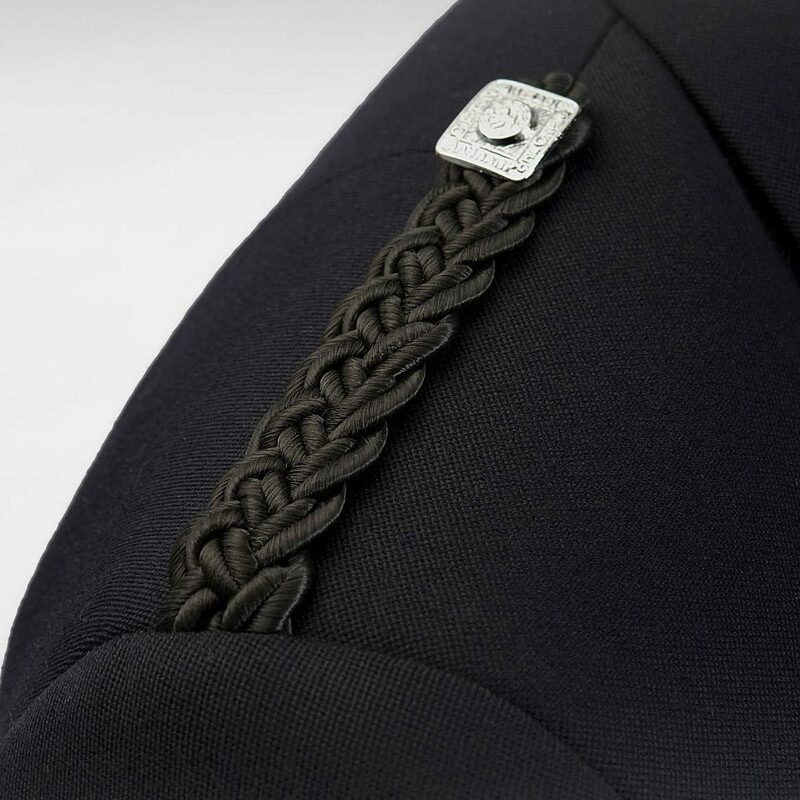 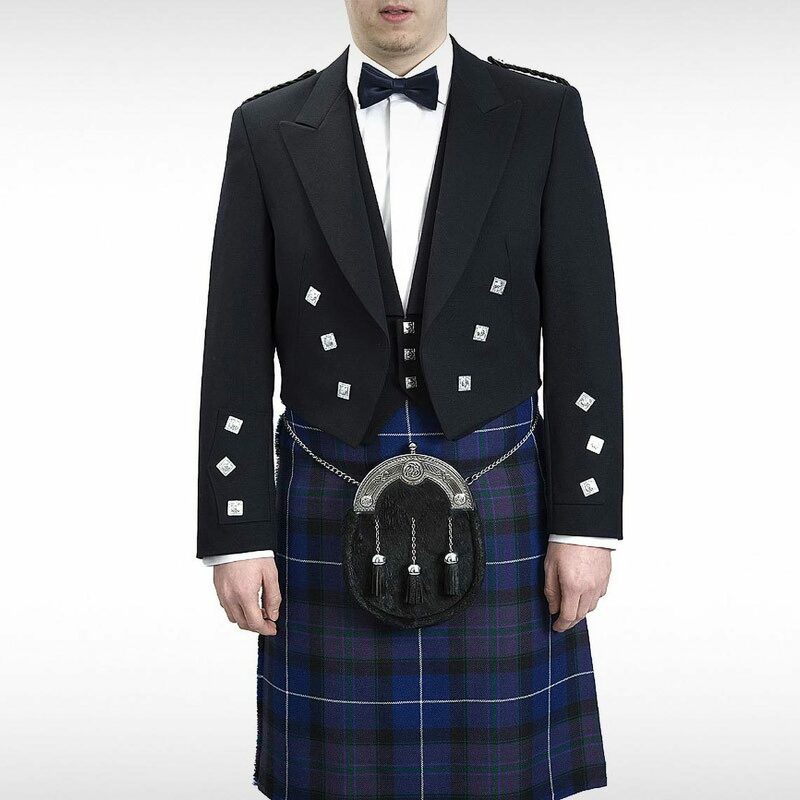 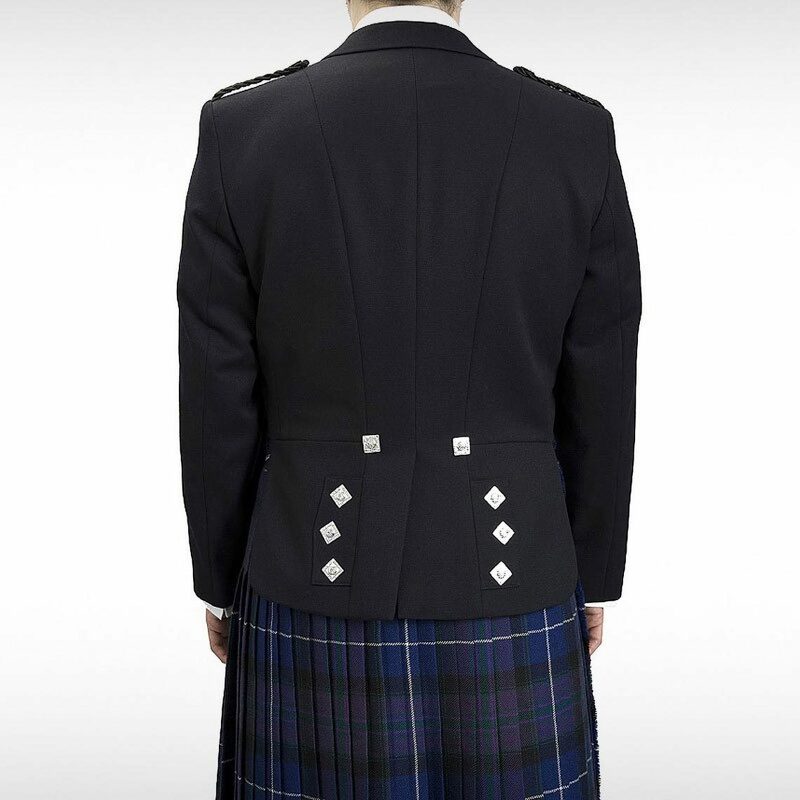 Chrome buttons, braided epaulettes and satin lapels, this is the traditional formal kilt jacket, with tails (as seen in picture); to be worn with bow tie. 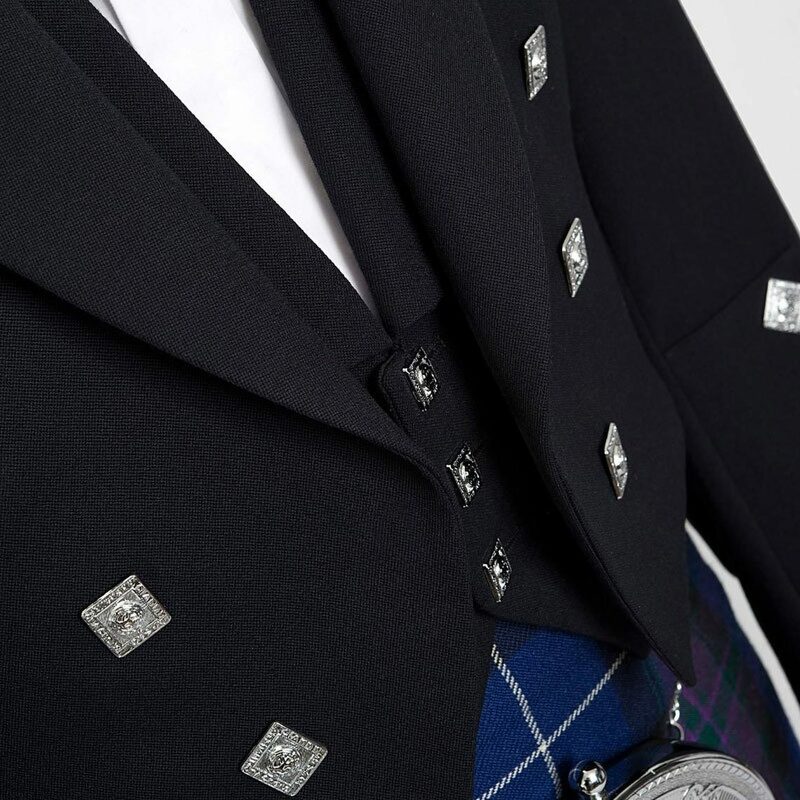 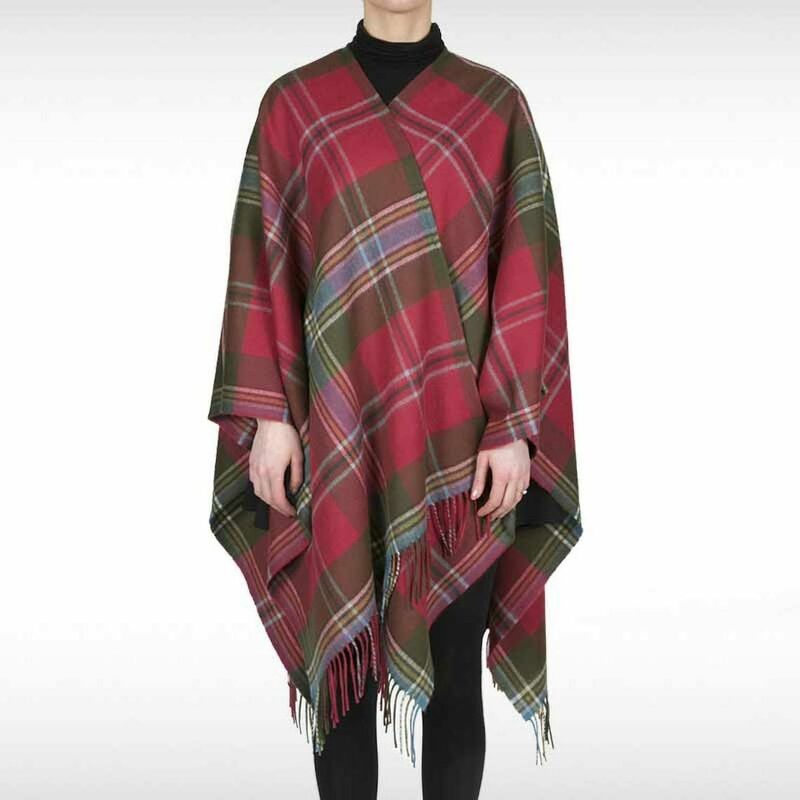 Waistcoat has matching lapels, and two jetted pockets.